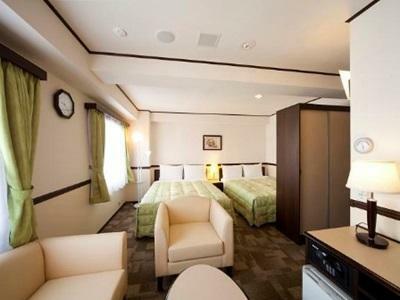 Ada pertanyaan untuk Toyoko Inn Tokyo Shinagawa Konan-guchi Tennozu Isle? Baik Anda turis maupun dalam perjalanan bisnis, Toyoko Inn Tokyo Shinagawa-eki Konan-guchi Tennozu adalah pilihan akomodasi yang tepat ketika mengunjungi Tokyo. Dari sini, para tamu dapat menikmati akses mudah ke semua hal yang dapat ditemukan di sebuah kota yang aktif ini. Yang tidak ketinggalan adalah akses mudah dari hotel ini ke sejumlah obyek wisata dan landmark kota ini seperti T Y Harbor Brewery, Museum Seni Kontemporer Hara, Kedutaan Besar Republik Persatuan Myanmar. Singkatnya, semua pelayanan dan fasilitas yang Anda harapkan dari Toyoko Inn sangatlah nyaman bagaikan di rumah Anda sendiri. Hotel ini menawarkan sejumlah fasilitas di tempat untuk memuaskan segala jenis tamu. Suasana Toyoko Inn Tokyo Shinagawa-eki Konan-guchi Tennozu tercermin di setiap kamarnya. televisi layar datar, kolam pribadi, akses internet WiFi (gratis), AC, penghangat ruangan hanyalah beberapa dari fasilitas yang dapat Anda nikmati. Hotel ini menawarkan berbagai pengalaman hiburan unik seperti sauna, pijat. 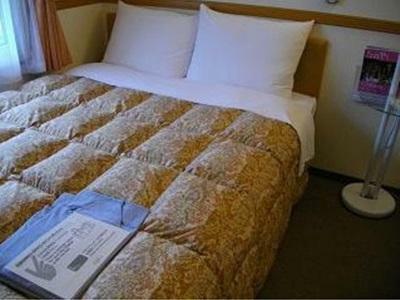 Toyoko Inn Tokyo Shinagawa-eki Konan-guchi Tennozu adalah destinasi serbaguna bagi Anda sebagai akomodasi hotel yang berkualitas di Tokyo. Dengan adanya free shuttle bus dari hotel ke shinagawa station, sangat memperlancar aktifitas kami selama di Tokyo. Saran kami, start keberangkatan untuk shuttle bus dari hotel ke shinagawa bisa lebih awal dari jam 06.00 karena jika ada tujuan ke airport dengan jadwal pagi tidak terlalu tergesa2 waktunya..
Have stayed at Toyoko Inn in a few locations, this one is by far the best. The family room is relatively big. Breakfast is better in comparison with other branches. Free shuttle to Shinagawa station and well connected to other parts of Tokyo by JR. Easy access to Haneda airport by monorail. Value for money. Amazing location. Near from haneda airport, and only few minutes walk from tennozu isle station. They provide free shuttle bus to shinagawa station every 15" so you can go anywhere. Near minimarket also, just need to cross the street if u get hungry in the middle of the night. The room were very small but still enough if you just need to sleep. Breakfast has the same menu everyday. Still ok for me. This branch has the basic necessities, bedroom slippers, in room safe as well as free use of yukata and bathroom kits that you take on your way up after check in. Room is clean and spacious enough to be cosy for two. 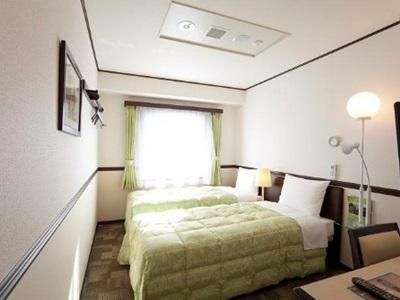 Bed is alright and bathroom is small but normal by Japanese average. At first, we were thinking that it was rather far from the main lines but the free shuttle bus was very useful, frequent and easy to locate from Shinagawa Station. Check out their website for the shuttle timings and location of bus. Overall very satisfactory for the price and wouldnt mind staying here again, maybe check out the other branches. No negatives on the staff and everything was pretty seamless. 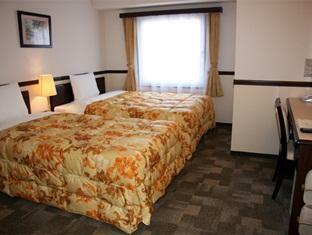 Stay in Toyoko Inn basically comfortable though there are hotel guests vomiting on the floor when we check in. Counter staff is not English speaking staff, there is a miscommunication in between Agoda and hotel making one of our booking problem upon checking in, drag us more than 2 hours there after 12 midnight with young children. No facilities in the hotel except for sleeping purpose only. Good thing was there is a 7-Eleven nearby in walking distance so at least the kids can have a quick bite there. Reasonable room rate, shuttle bus to/form train station and breakfast was inclusive in the room rate came as a surprise. Good budget hotel with breakfast included in the room. 2 things that we need to highlight. 1. We wanted to leave luggage at the hotel when we went to Mt Fuji for 2 days unfortunately there was no luggage storage facilities for overnight. We have to drag the luggage and kept it at the train station. 2. The check out time is at 10am and the last morning shuttle is at 10.30am and afternoon shuttle start at 3pm.Our flight was at 5 pm which leave us with a few hours wondering in town with our luggage. Very nice for ladies only stay.Have sauna service. Waiting time of free bus is quite long from Shinagawa station. If you want to use JR train from Shinagawa to other place I will not recommend to stay there. This place was very close to the locations I wanted to go to. I liked that they offered the free shuttle to and from Shinagawa Station, and it was also very close to the Rinkai train line. I tried their shabu-shabu in the evening, and it was pretty filling. The breakfast offered in the morning also tasted very good. They also provide takkyubin service for your luggage at the front counter, which I considered a plus. Our stay in this hotel has been a rather pleasant one. 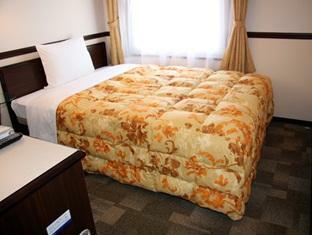 The plus points of this hotel includes it's good locality which is within 5 minutes walk from the nearest train station. For those who opt for Shinagawa train station, there is free shuttle service provided which runs at a rather regular interval. The hotel facilities are adequate and is a good value for money albeit the rooms looking a little old. The bad points of this hotel is the rooms which looks a little old but is bearable. The breakfast menu is limited with repetition almost every day. This hotel is ok, I particularly liked the shuttle service every 15 mins to/from Shinagawa station. We just had a problem that our room smelled like cigarette as we are non-smokers (we forgot to mention to put us in non-smoking room) - so kindly take note of this when booking. Hotel provides basic amenties + gives free items upon checkin. I recommened this hotel for business/budgent travelers. Shuttle Bus connecting to Shinagawa-eki is very helpfull in order to do sightseeing Tokyo City. From Shinagawa-eki, we can go to everywhere using JR train. Love the chain of Toyoko Inn. Have breakfast. They have shuttle bus from Shinagawa Station. 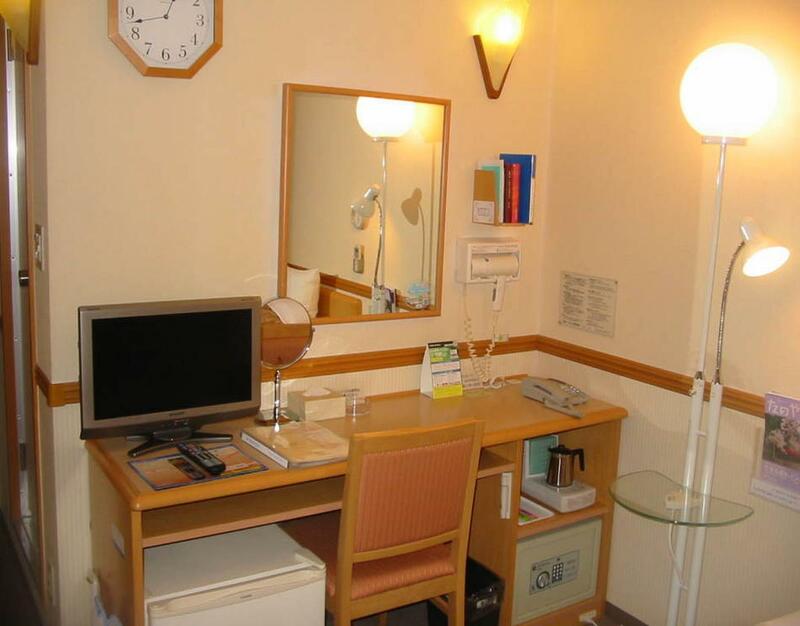 Price is reasonable and location is ok with free shuttle to Shinagawa Station. Room a bit small but comfortable. 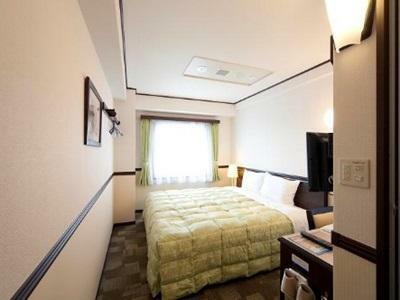 10 mins by free Hotel Shuttle available every 15 mins to Shinagawa station. (2) Monorail 20 mins to Haneda (3) breakfast is good/free Sauna. its worth of money if you have your budget cost with you, they have their shuttle bus to shinagawa station hence its convenient for you to go any place you wanted.